CVA® WolfTM .50 Cal. Muzzleloader with Scope Mount. The ultimate black powder hunter. White smoke, black powder! This CVA® WolfTM .50 cal. Break-action Black Powder Rifle is a world-class top seller. Accurate. Lightweight. Modern. And easy to shoot. Now fitted with CVA's no-tool QRBP (Quick Release Breech Plug) for fast loading and even faster cleaning. This particular model comes complete with an integrated scope mount and soft-touch stock finished in Realtree® HardwoodsTM camo. 39"l. overall, weighs 6 lbs., 4 ozs. CVA Wolf .50 Cal. 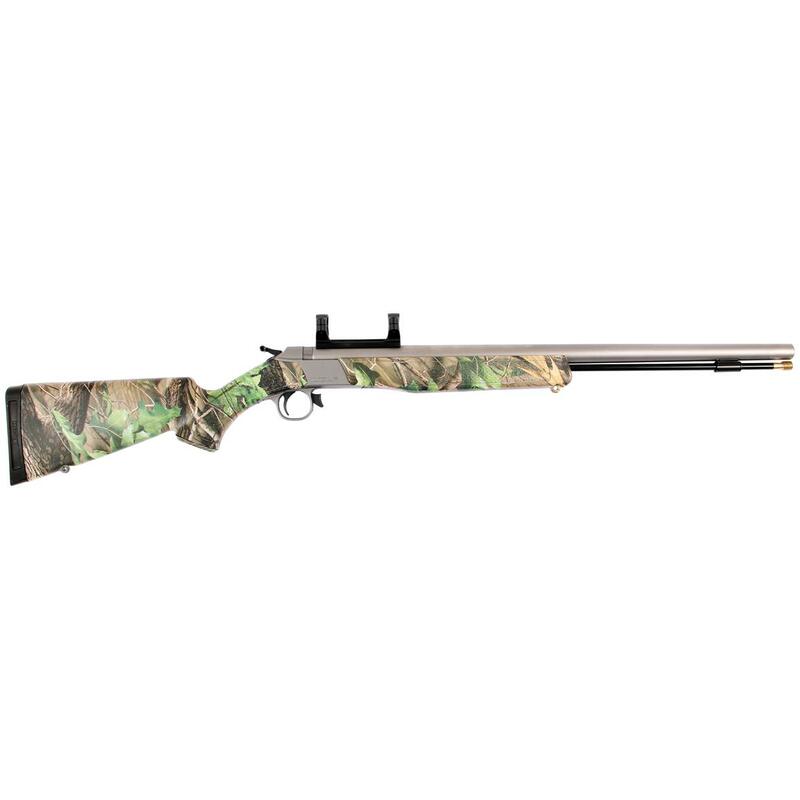 Muzzleloader with Scope Mount is rated 4.7 out of 5 by 6. Rated 5 out of 5 by Booby from Great Price, Nice Gun Shoots good, well made. 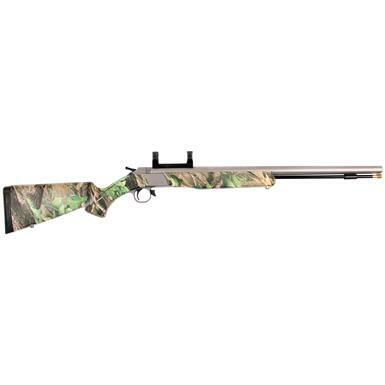 Rated 3 out of 5 by Owen from Not bad for the price Not a bad muzzleloader for the price. I did have to replace the quick release breech plug after 9 rounds. CVA said they would send me one, so we shall see. Just keep in mind your buying the bottom line CVA. Rated 5 out of 5 by RDmax from GREAT PRICE, VALUE, NAME!! BOUGHT THE OPTIMA AT THE BEGINNING OF DEER SEASON! THATAND A CROSSBOW FROM SPORTSMAN'S GUIDE . JUST PURCHASEDTHE WOLF ALSO!!! WHAT A GREAT VALUE!! AND A NICE OPERATINGBLACK POWDER RIFLE!! HOPING TO GET IN ON THE KENTUCKY ELKHUNT NEXT FALL!!!! Rated 5 out of 5 by Toe Tags from Incredible warranty return on CVA Electra I purchased a CVA Electra Black Powder in 2011. It never really worked for me. I called SG not really expecting any recourse. Long story short, SG reminded me of a "NO HASSLE" return and I exchanged for a CVA WOLF. Very Happy!